Most weeks I check the planning applications recently validated, via the weekly/monthly list search option on the council’s ‘planning access’ pages. Some weeks I don’t get around to it and miss things. 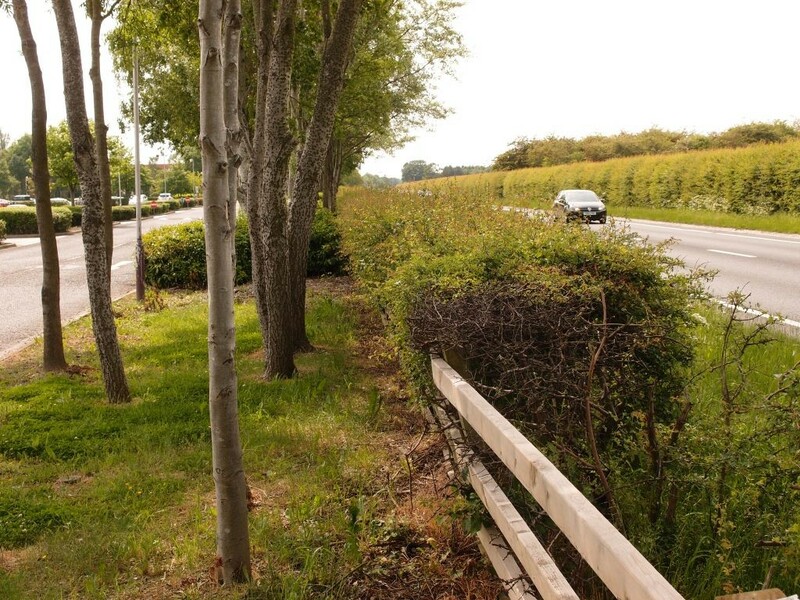 I didn’t get around to it last week, but the Press has drawn attention to one of the applications just submitted, a rather surprising request to fell a large number of trees at the edge of the Clifton Moor retail park, because they’re obscuring the view of the shops. 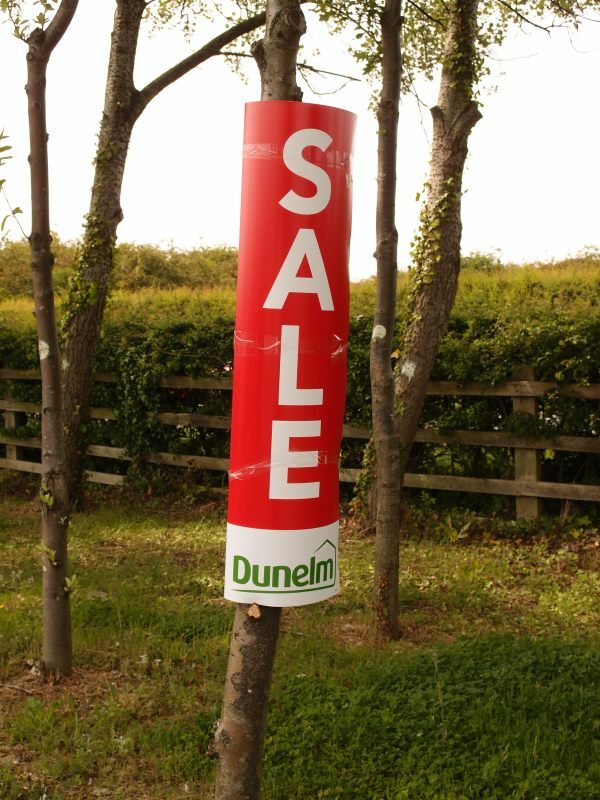 Though 103 trees is a lot, it is only part of the ‘tree offer’ next to Clifton Moor’s ‘retail offer’. There are a lot of trees on the boundary, the very long boundaries of this massive place, once large enough to contain an airfield. Now it’s a sprawl of shops, out here on its northern part, nearest the ring road. The application relates to a particular section of tree planting, near to Matalan, Iceland, Dunelm, etc. See the ‘Further information’ below for links to the plans. 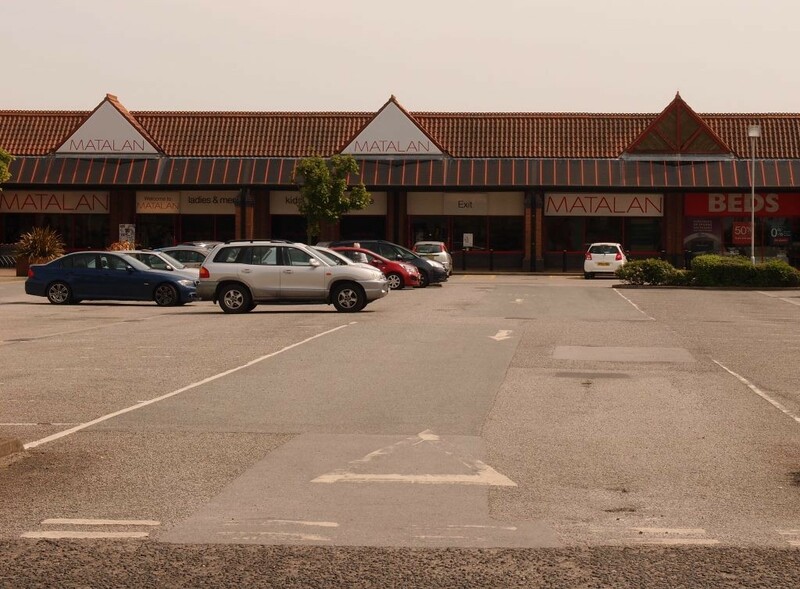 In considering the application it is important to recognise that the original landscape scheme was designed to be low key and to be maintained at a low level to enable customers to enjoy views of the retail units. I know from previous excursions that Clifton Moor retail park is a horribly unfriendly place to any visitor not in a car. I’ve tried to navigate it a couple of times by bike (with bits of walking when I came across frightening roundabouts and decided to dismount) and I have to say that it’s probably the most cyclist-unfriendly and pedestrian-unfriendly place I’ve visited in my wanderings/cycling around York. So I hoped I could illustrate this piece with images from Google Street View, and not have to visit it. But, that proved inadequate. So, dear readers, I went the extra mile (or several), gathered all my courage and fortitude, and set off on Old Bikey, up the pothole-filled roads of outer York, towards the outer fringes of the retail park, to bring you the photos on this page of the actual trees under threat. The photos were all taken yesterday, as I dodged the cars on a Clifton Moor retail park access road, unprotected by pavement or cycle lane, while the ring road traffic whizzed by on the other side of the trees. I don’t want a medal but please feel free to express appreciation for my ongoing endeavors in citizen journalism in a supportive financial way, should this page inspire you. Perhaps many readers will have admired these trees while sitting in traffic on the ring road. Or perhaps not. 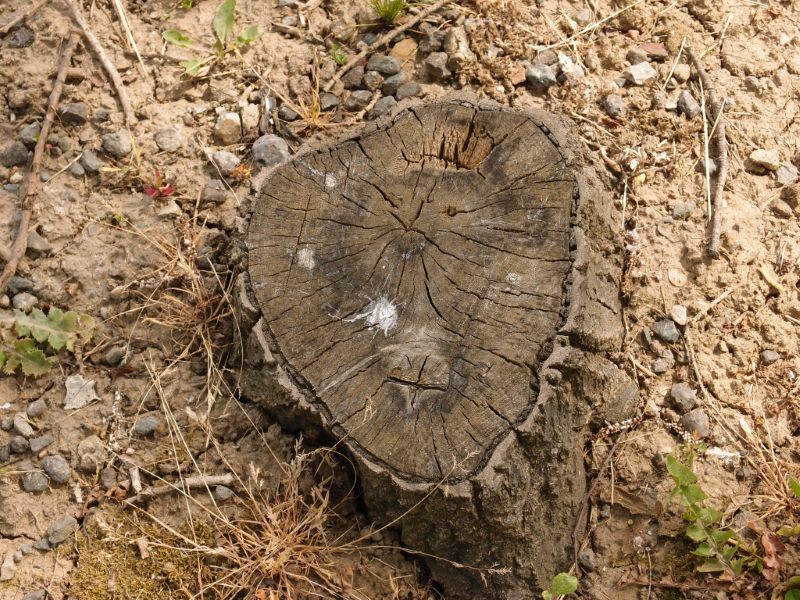 We tend to take trees for granted until they’re under threat of being felled, or, as is more usual, until we see them being felled, having not realised they were going to be. Anyway, let’s appreciate them now. They’re a mix of species, some of them with thick trunks and interesting bark, and they’re all looking robust and healthy. They’re not those usual town trees, small rowans and the like, the kind we plant now in tight spaces. We have oaks in here. Yes, oaks. 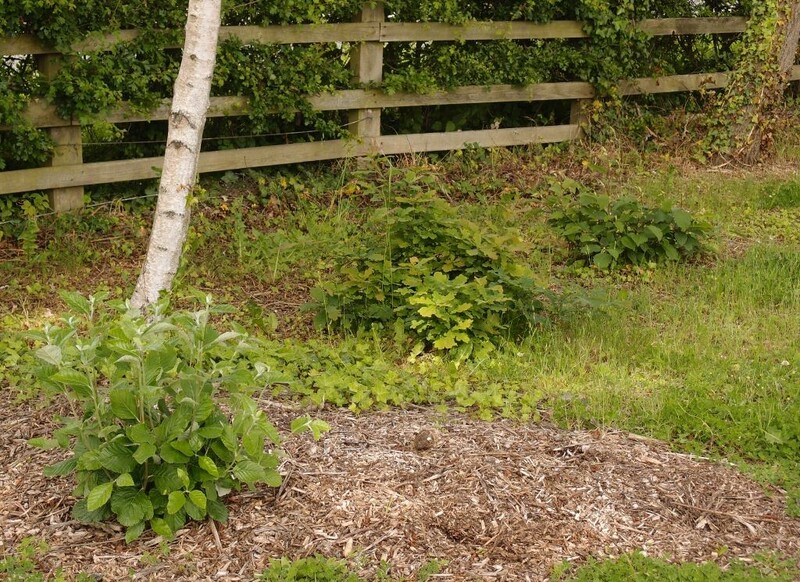 The planting also includes poplar, alder, ash and birch. There’s evidence that a few of the trees have been felled in the past, stumps remaining. And also evidence that perhaps it isn’t that easy to kill them, that nature so often surges back, defiant. Trees apparently regrowing from stumps. Middle one is an oak. Growth was sprouting from the ground again on this patch. Perhaps this kind of low growth is preferred by the shop owners, as it doesn’t obscure the view of the retail offer. This photo including a car gives a better idea of scale — how tall many of these trees are. They’re fairly lofty, but just getting going really, doing their tree thing. 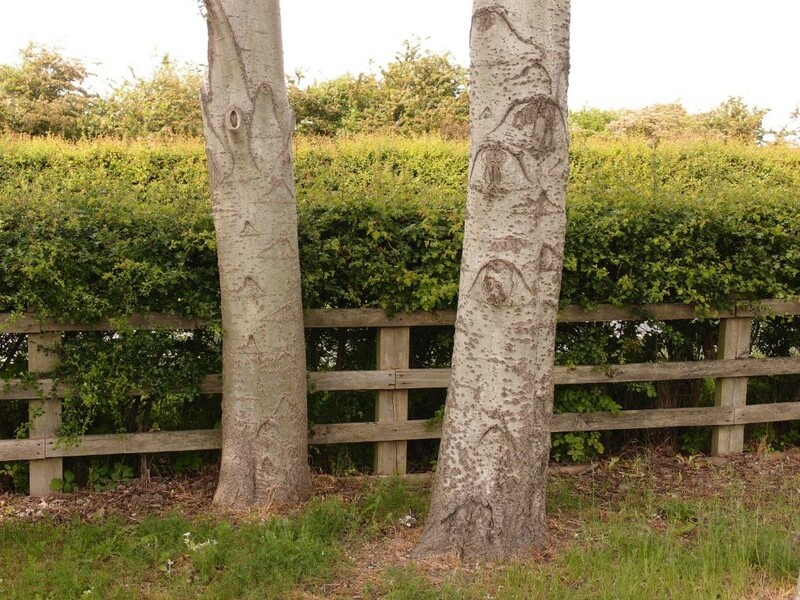 Letters to the Press and other online comments have referred to ‘our’ trees. There appears to be a sense of ownership, perhaps because they’re in a public place, near roads. 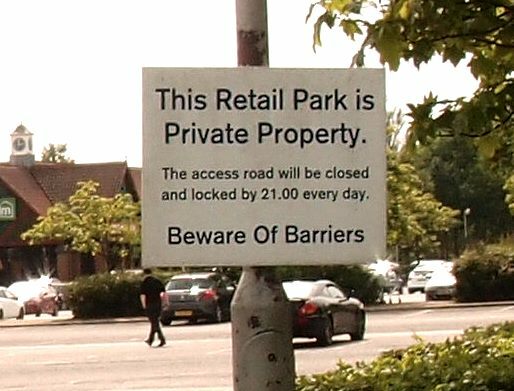 A hedge between them and the ring road looked like it was the boundary of the retail park, which is private property, as this sign on one of the photos I took makes clear (in a blurry way, apologies for the quality). ‘Is the applicant the owner of the tree(s)?’ it asks. The answer is ‘yes’. So it could be said that we the public have no right to tell the owners of the land what to do with their trees. And we might also think about how vulnerable ‘our trees’ are in other publicly visible/accessible places, where they’re probably not ‘ours’ at all. 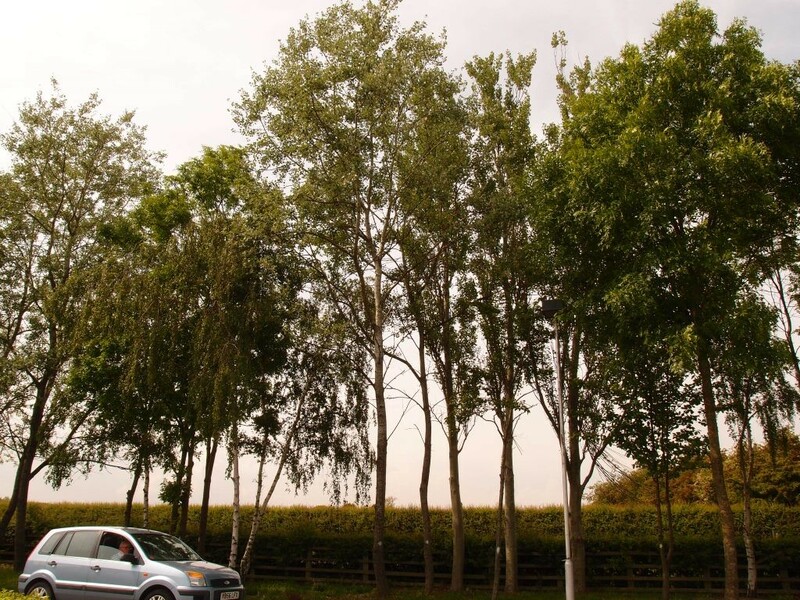 The belt of trees located between the access roads for Clifton Moor Retail Park and the outer ring road (A1237) are considered to be an essential component of the highly visible landscape infrastructure of the retail development, and the setting of the city. The trees (and hedge) can be suitably managed to allow views in to the development whilst retaining a suitable landscape setting. 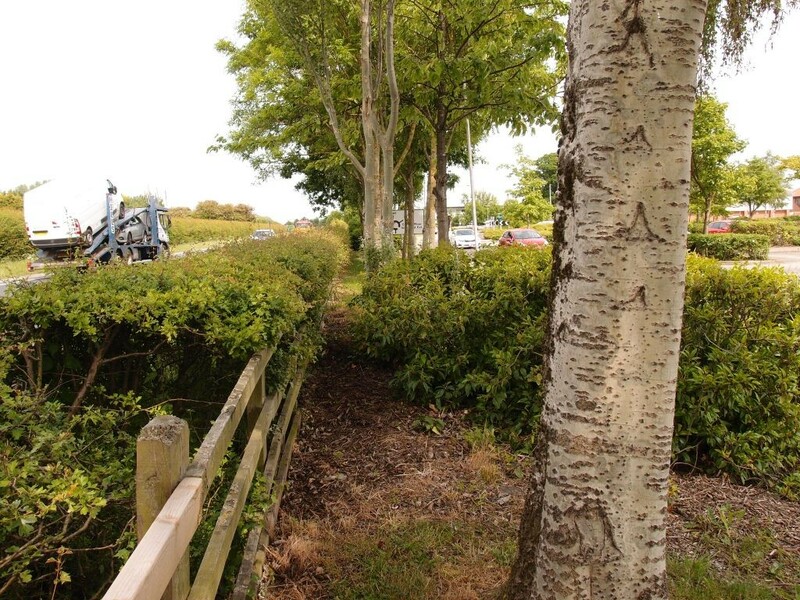 Potentially the trees are no longer protected by conditions of planning consent, therefore it is felt expedient to serve a tree preservation order to protect the integrity the tree belt and the public amenity that it affords. But a TPO isn’t a guarantee that trees will be protected, as previous experience shows. Tree Preservation Orders can be revoked. The proposed dualling of the ring road, which I keep hearing mention of every now and then, would presumably wipe out a lot of the wildlife-friendly vegetation now well-established alongside the existing road, and destroy a habitat we’d then have to recreate again, around the wider road. And as always, I’d like to be helpful and include direct links to the most interesting documents included in the above, but the creaky online system often refuses to display documents. So if the following links don’t work either try again later or try the main link above and scroll down the list. The objections/comments are also viewable either on the main link or this link, under ‘Comments’, depending on your device. Providing information like this takes many hours of work — research, thought, writing, photography, and in this case, cycling. It’s all created by one person, who receives no public funding to provide this valuable online resource. The site’s continuation with regularly updated content is more likely if more people support it financially. I have bills to pay just like everyone else. If you’d like to say thank you for this labour of love, here’s a link for that, and more information on this page. Your first sentence ‘recently validated’ hits the nail on the head. Without an Arborocultural report on each and every tree to be felled, along with valid reasons why they need to be felled, this application shouldn’t have even got this far. As for not been able to see the shops for the trees, I’m still laughing now.